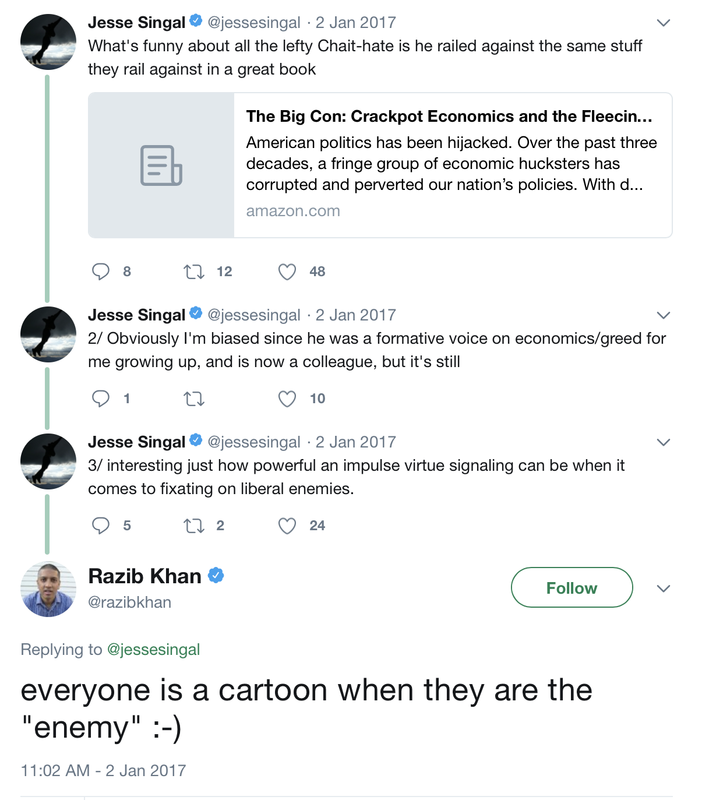 I just assumed Jesse Singal who wrote a NYTimes piece defending Steven Pinker while white-washing Pinker's actual views was a disinterested writer on the subject of Steven Pinker and accidentally misstated what Pinker actually said in the infamous PC video. 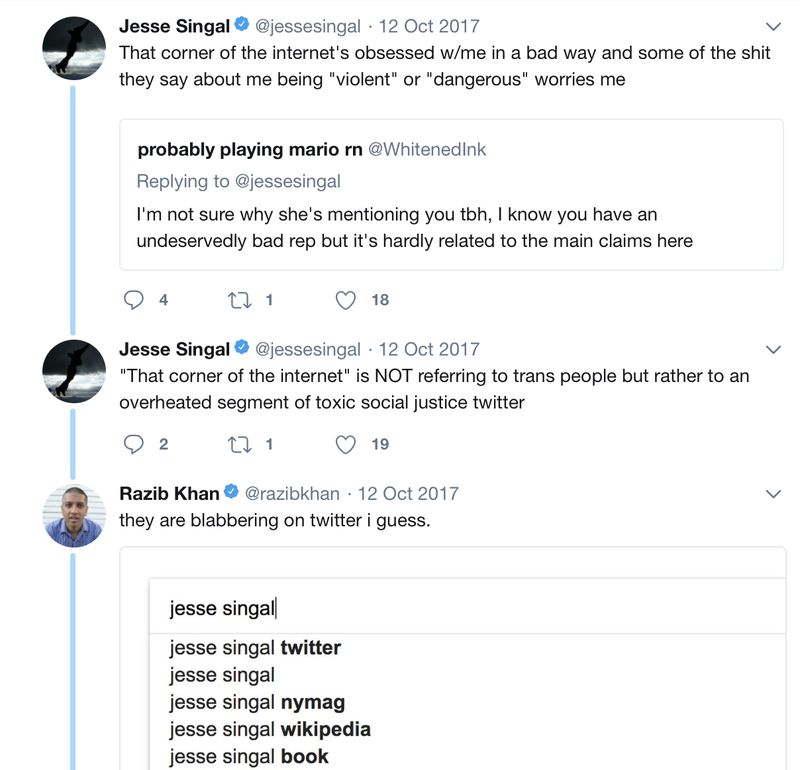 Turns out Jesse Singal is a member of the evo-psycho club and so soft-pedaling Pinker's actual statements was most likely deliberate, not a matter of carelessness as I initially thought. Here is Singal interviewing Pinker in 2014. Here he is defending the Damore Google memo - which of course simply regurgitates all Pinker's evolutionary psychology beliefs. Here he is attacking liberals as anti-science. Here he is defending evolutionary psychology, quoting ultra-evo-psycho proponent Jerry Coyne. 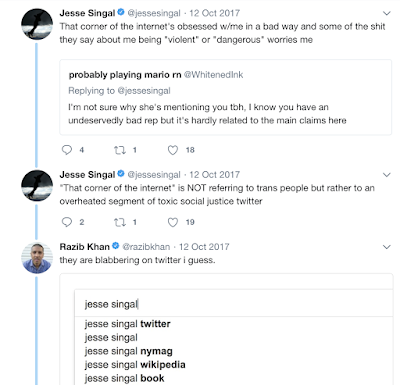 Here are some friendly exchanges he's had with Razib Khan on Twitter. 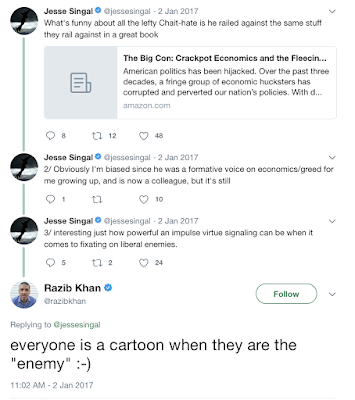 No wonder it doesn't bother Jesse Singal that Steven Pinker works with Razib Khan.